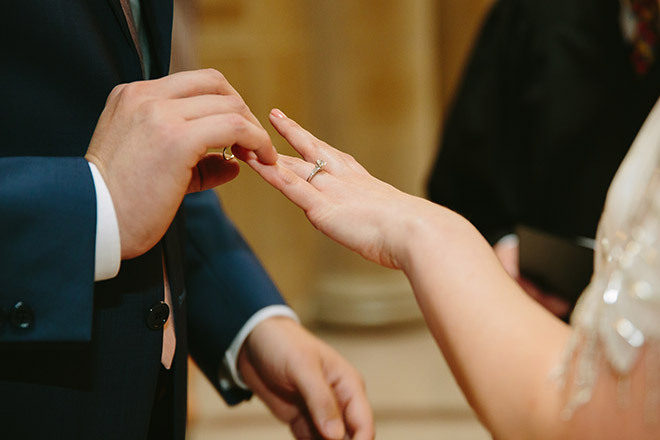 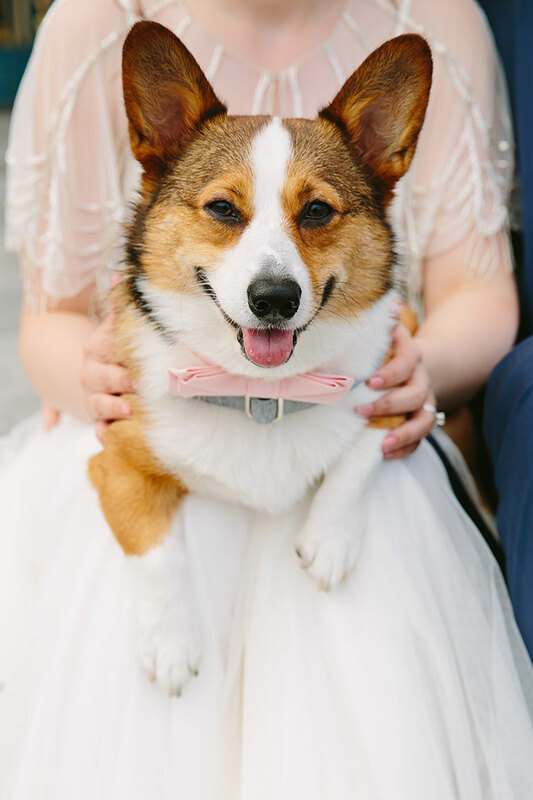 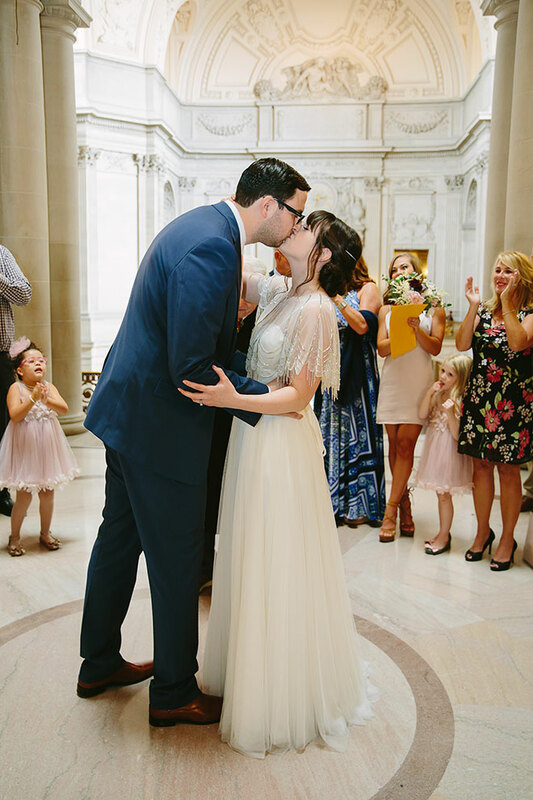 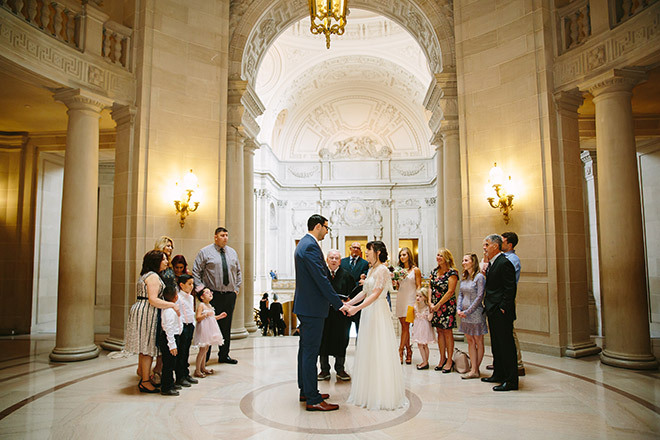 I wanted to share some recent San Francisco City Hall wedding photos. 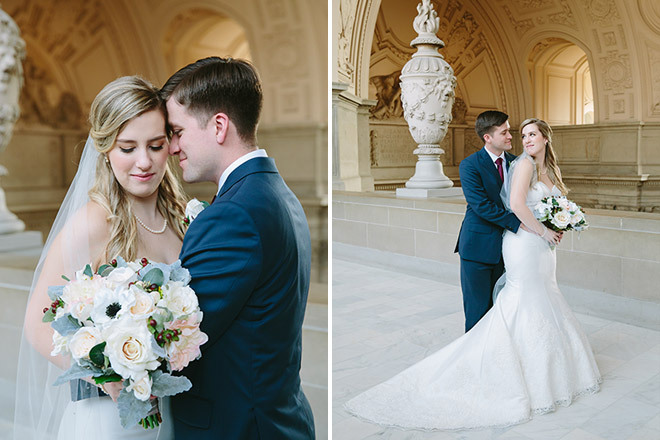 Kaitlyn and Gregory had a beautiful elopement. 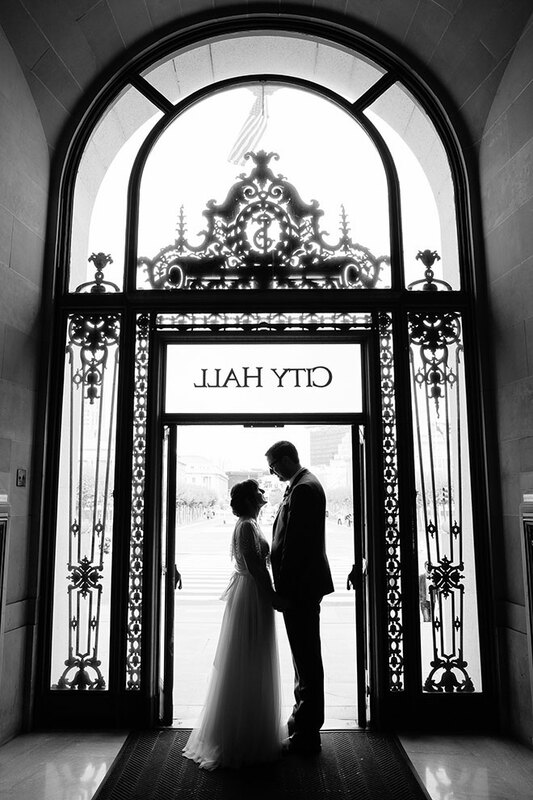 City Hall is a wonderfully intimate location that is a wonderful place for two people to get married. 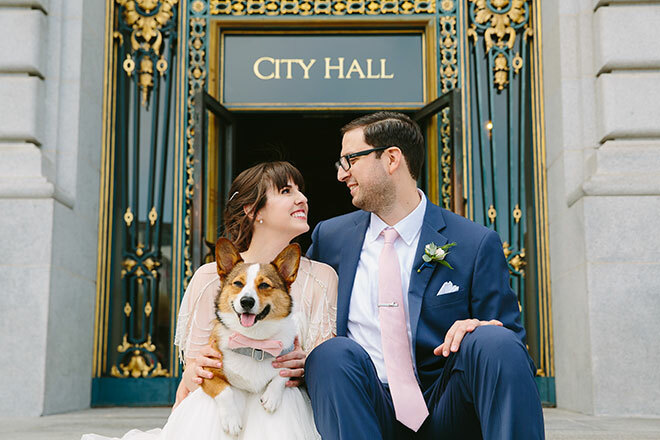 They chose to get married on a Wednesday which is a slower day at City Hall and highly recommended versus the very busy Fridays. 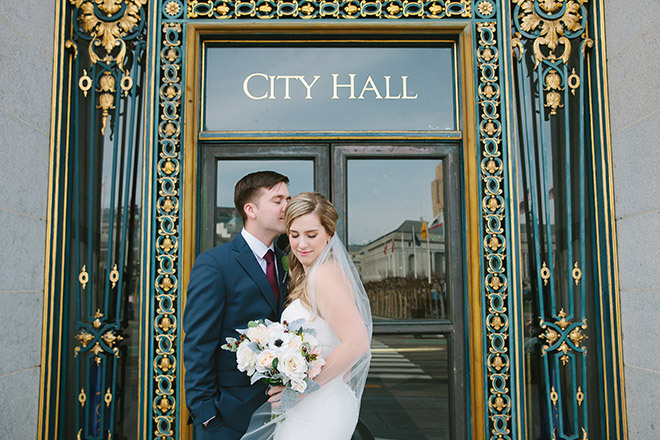 Kaitlyn and Gregory were also lucky to have their ceremony on the beautiful Mayor’s Balcony. 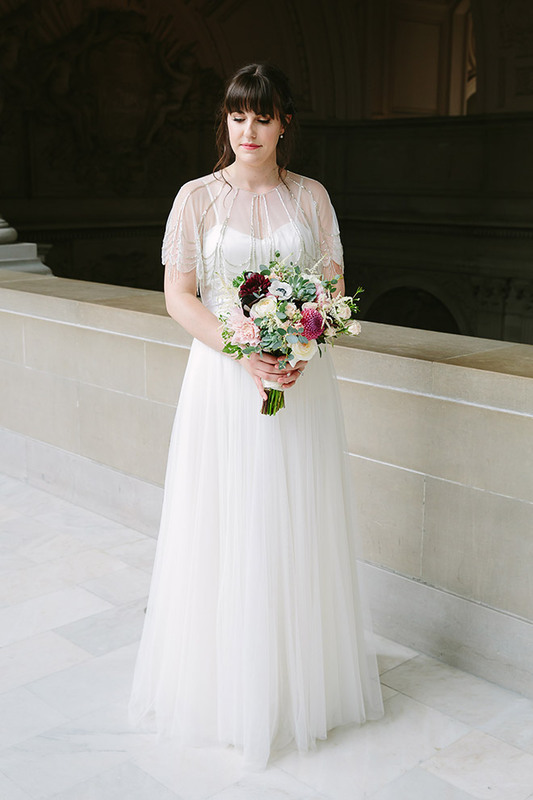 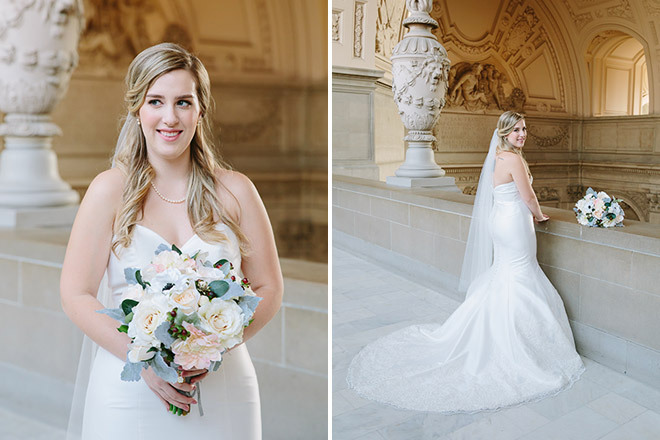 Kaitlyn wore an elegant flared mermaid style wedding gown complimented by a fingertip length veil. 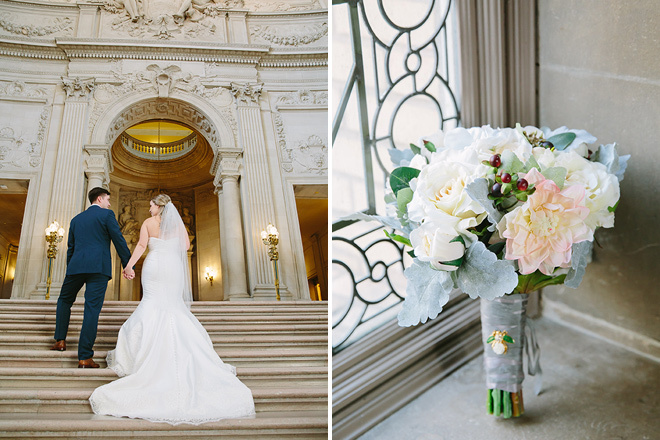 Her wedding bouquet featured a soft winter color palette of white and green. 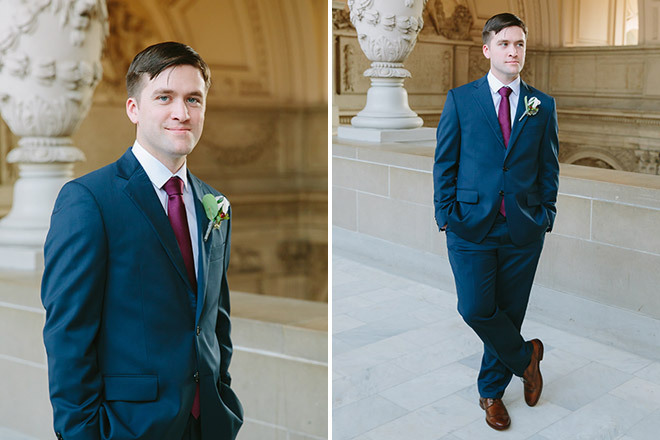 Gregory wore a well tailored blue suit which is definitely on trend these days. 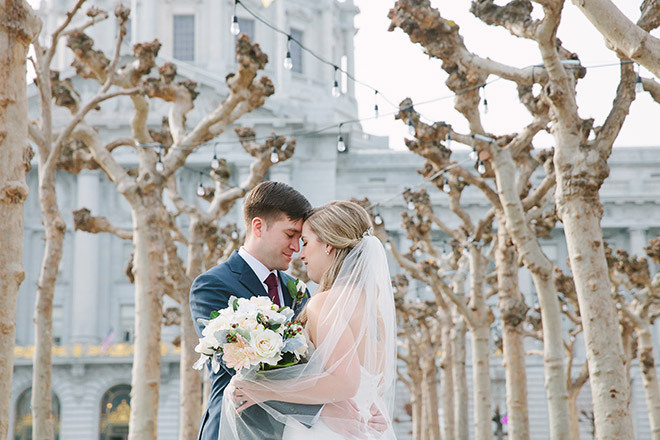 Congrats to Kaitlyn and Gregory! 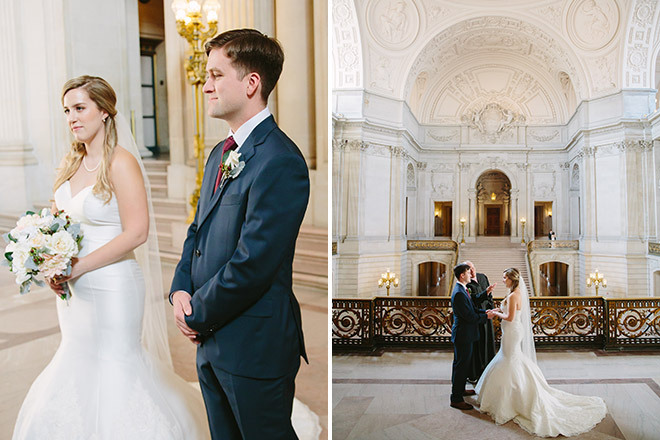 Check out more of my San Francisco City Hall wedding photos, or to get in touch for pricing and availability. 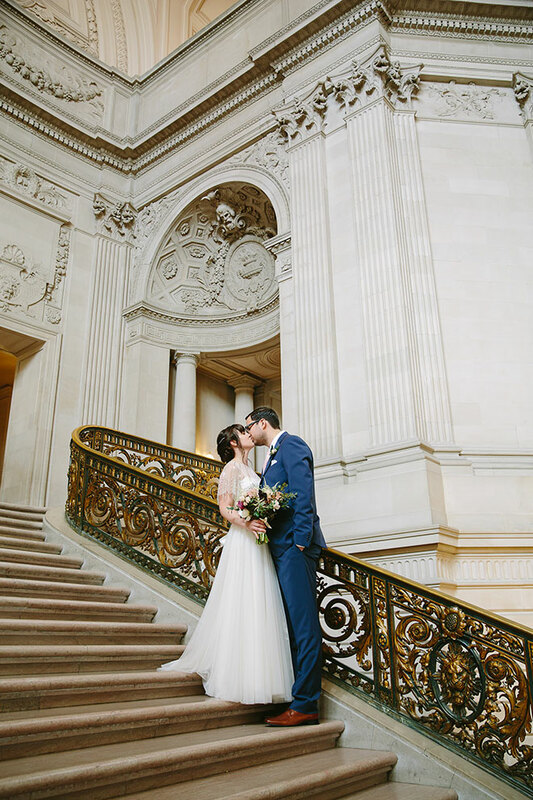 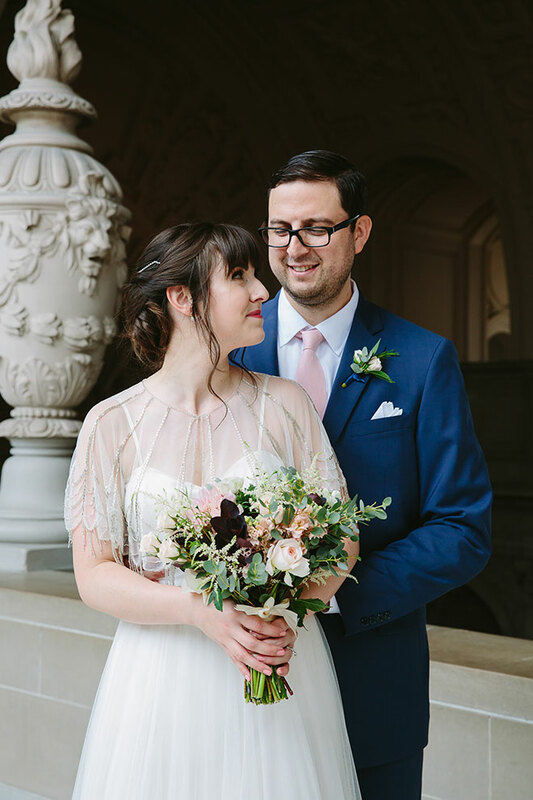 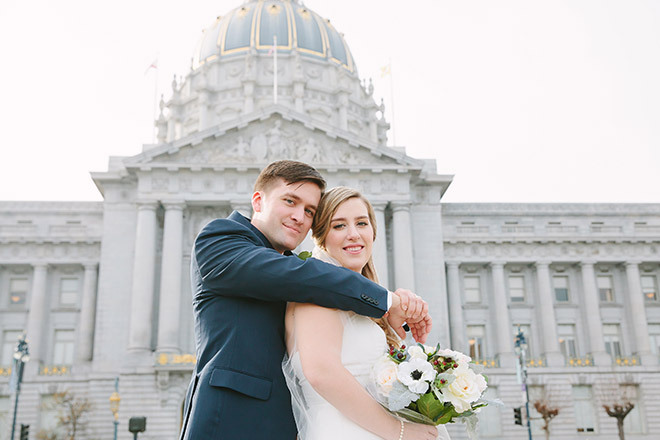 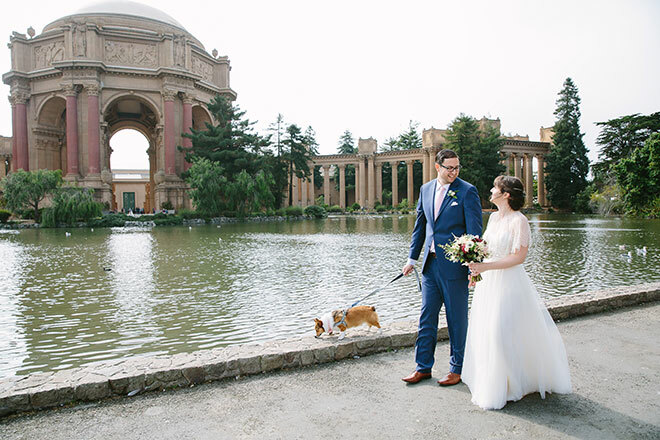 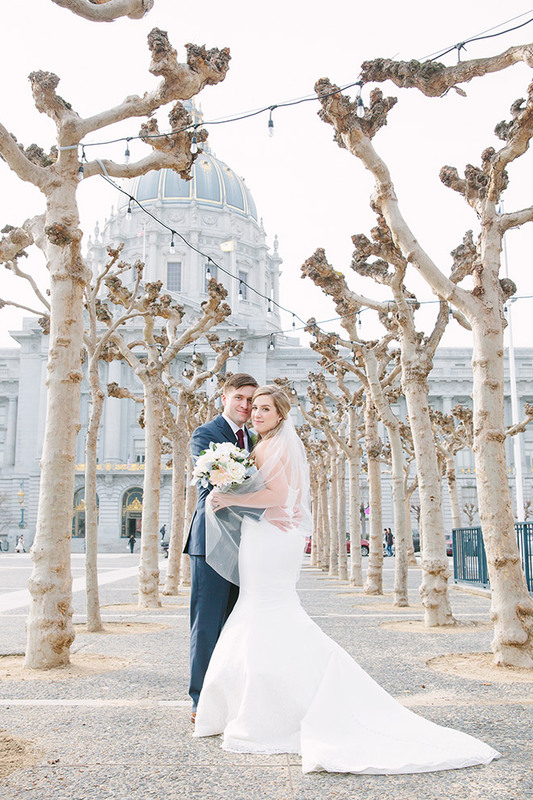 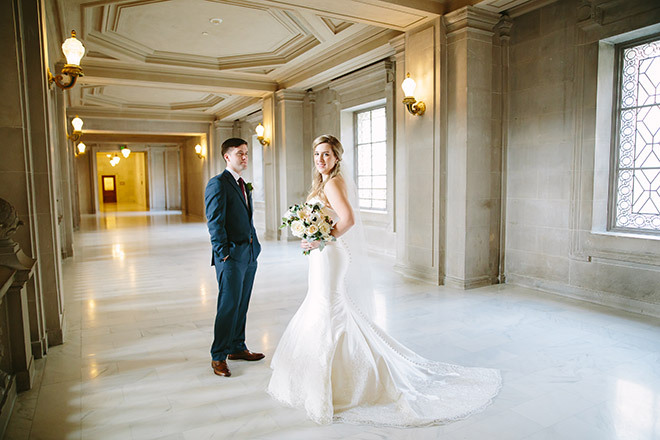 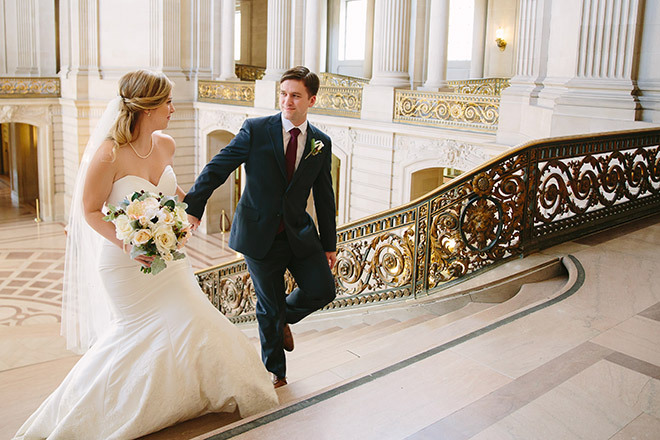 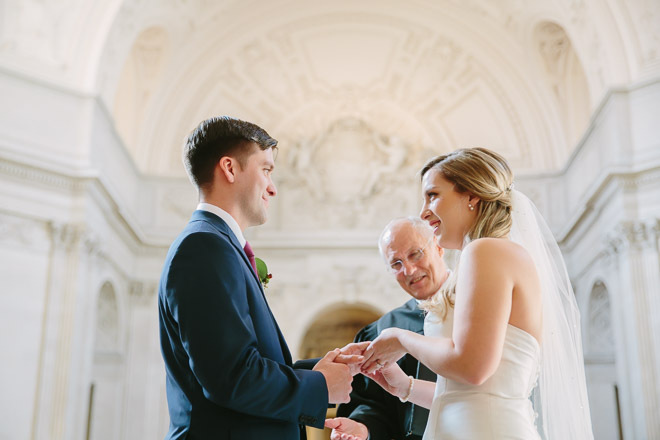 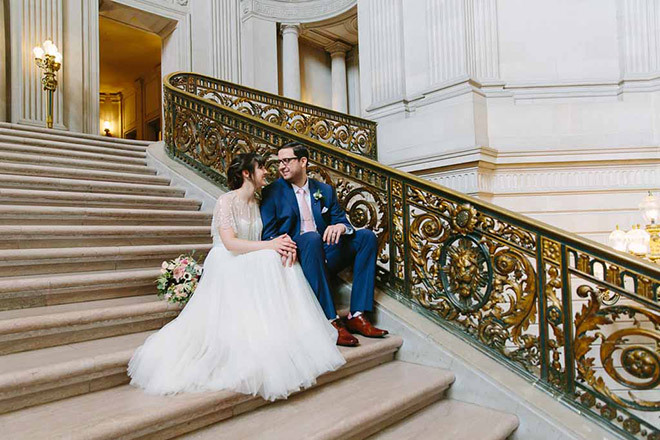 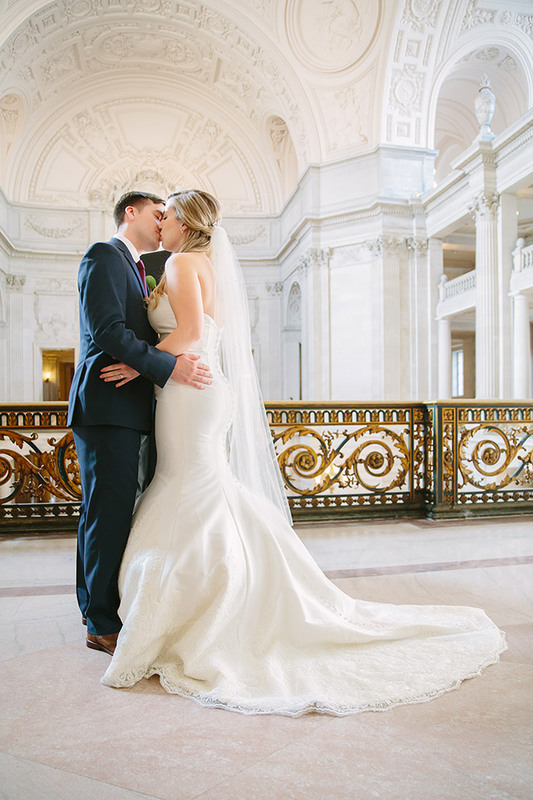 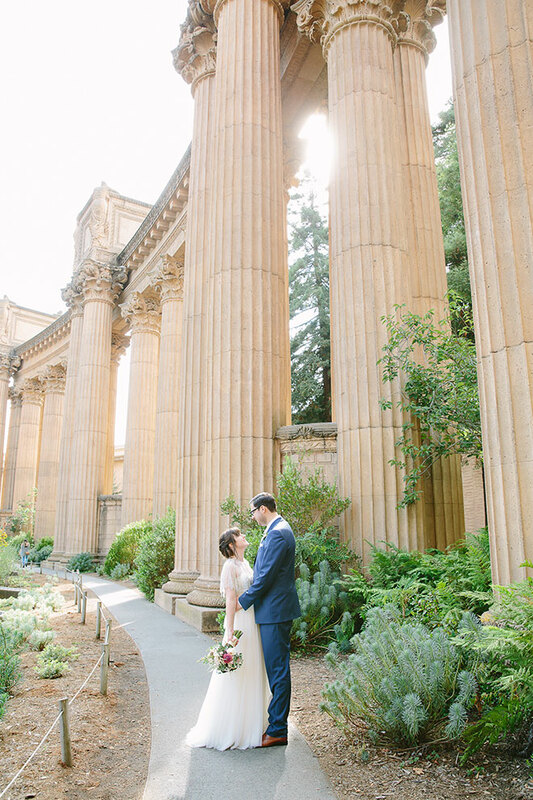 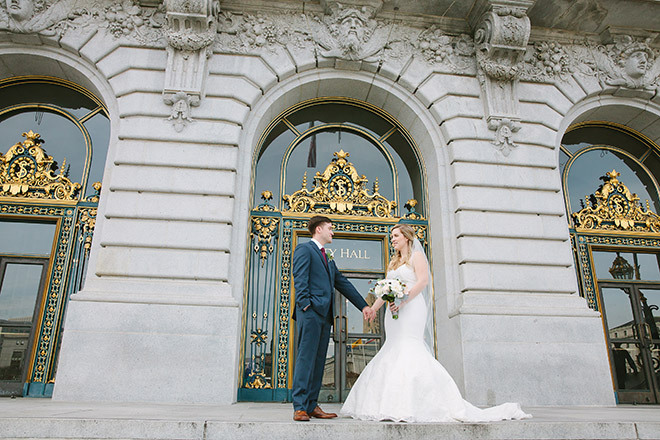 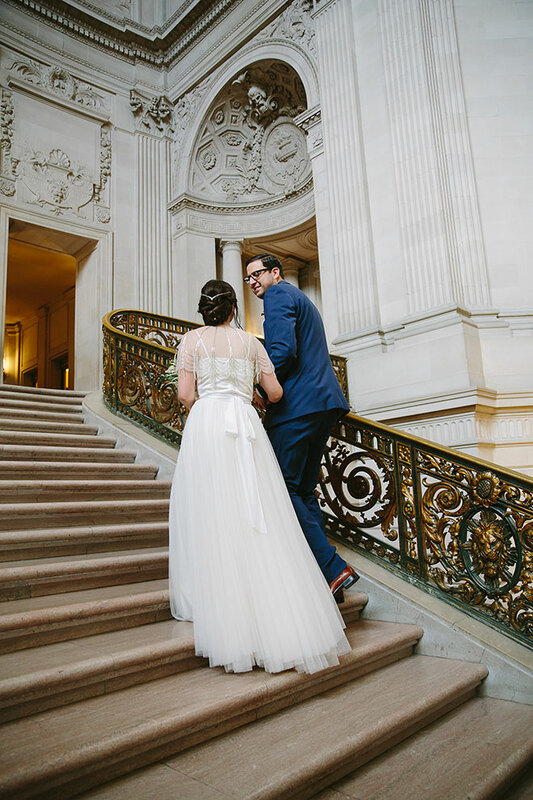 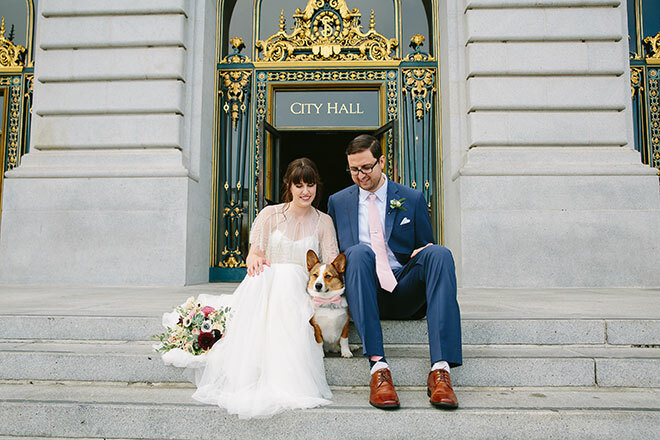 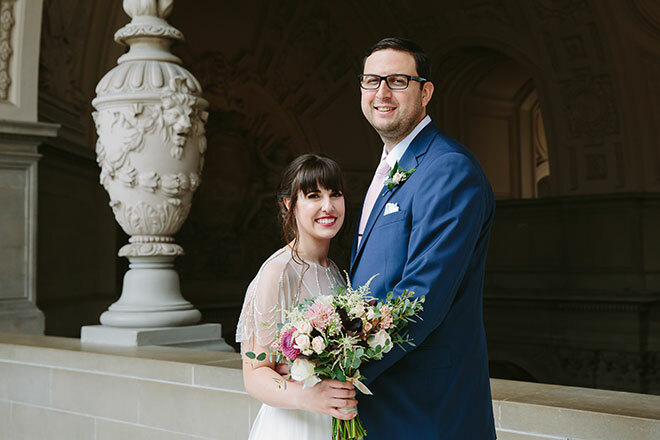 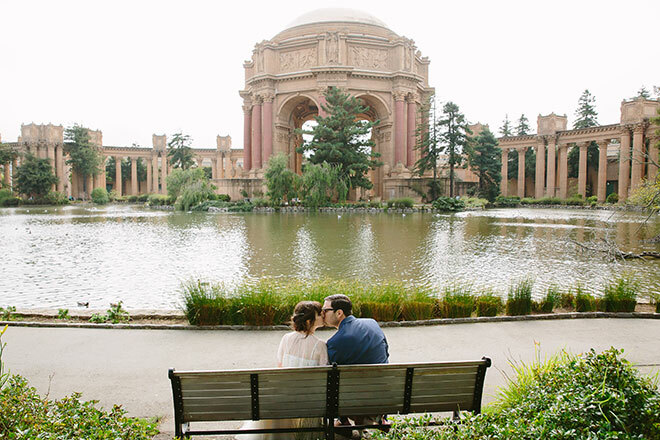 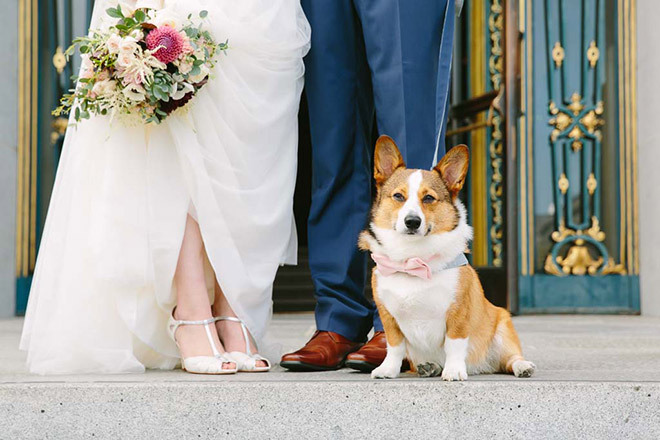 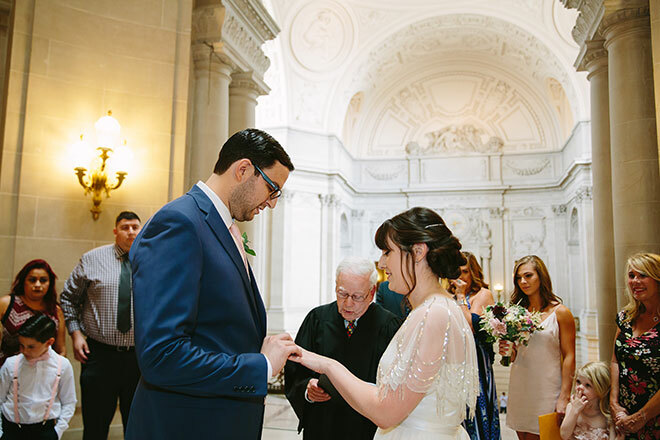 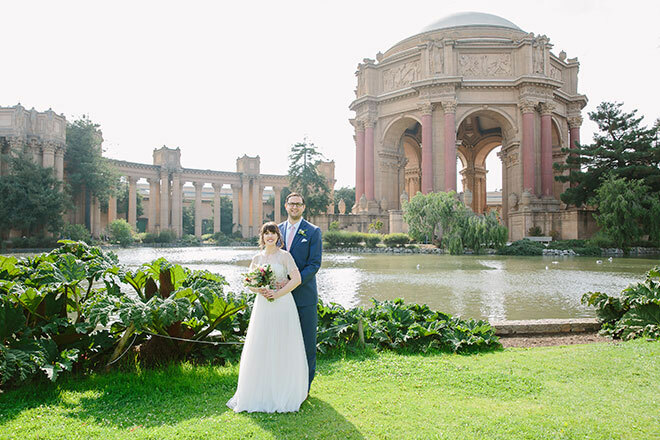 Denae and Rudy had a beautiful San Francisco City Hall wedding. 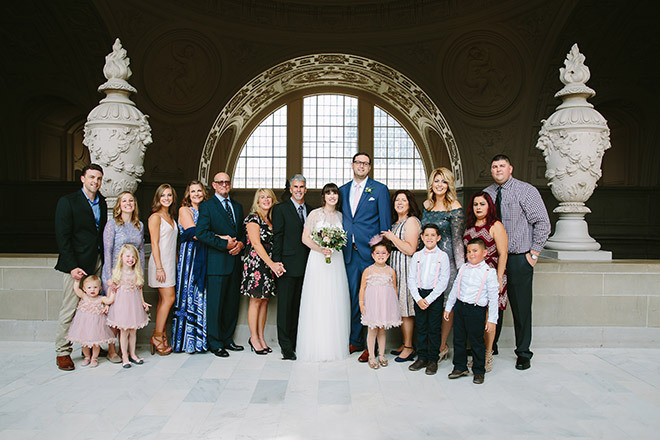 They were joined by their family and friends. 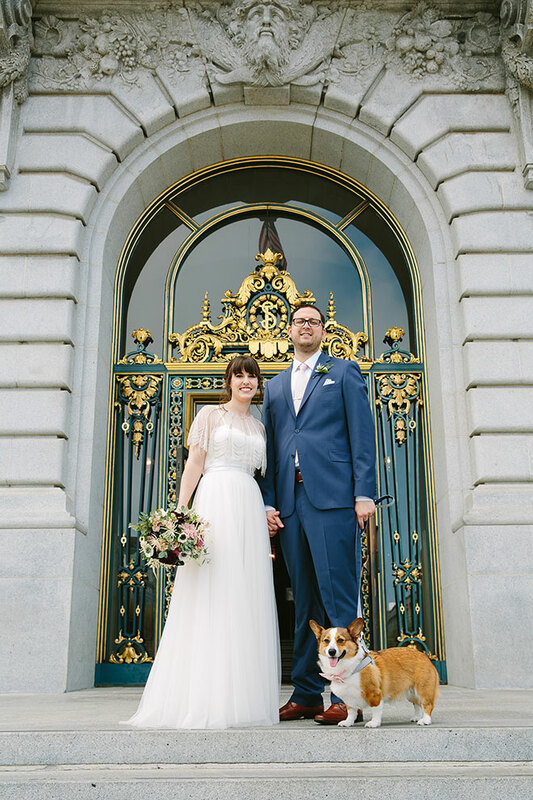 There was one very special guest as well, their doggie, Remington Steele (great name!). 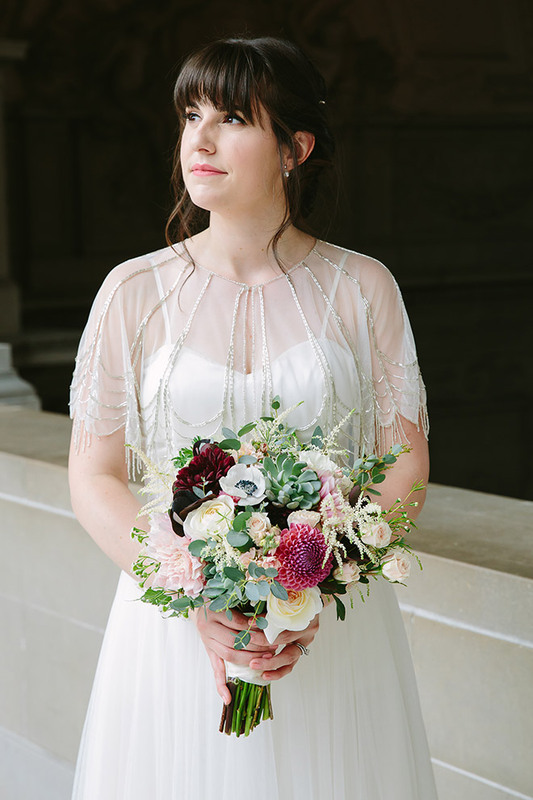 Denae wore a gorgeous flowy dress with a lovely little topper with bugle beads. 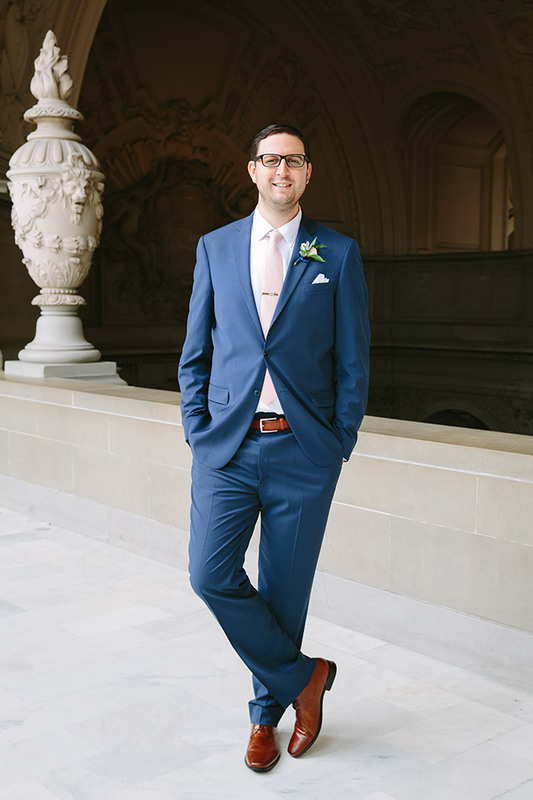 Rudy wore an amazing fitted blue suit. 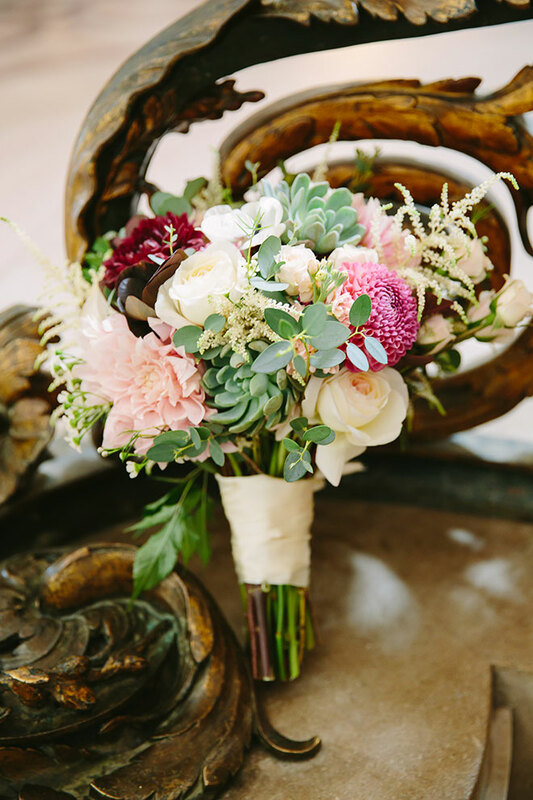 Denae’s bridal bouquet featured dahlias, roses, succulents, and astilbe. 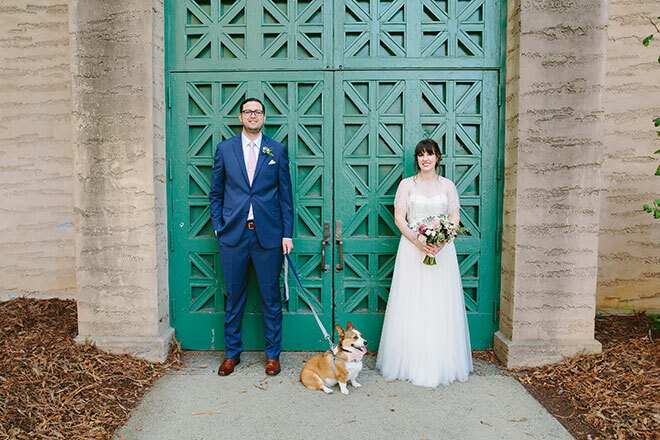 Congrats to Denae + Rudy!